First up is the Luxe Precision Felt Liner (£3.00). I normally use kohl pencils to line my eyes as I’m thinking that I have a bit of an allergy to liquid ones, so this liner is a nice and dandy go-between. As felt liners go, it’s pretty bog standard and does what it says on the tin. 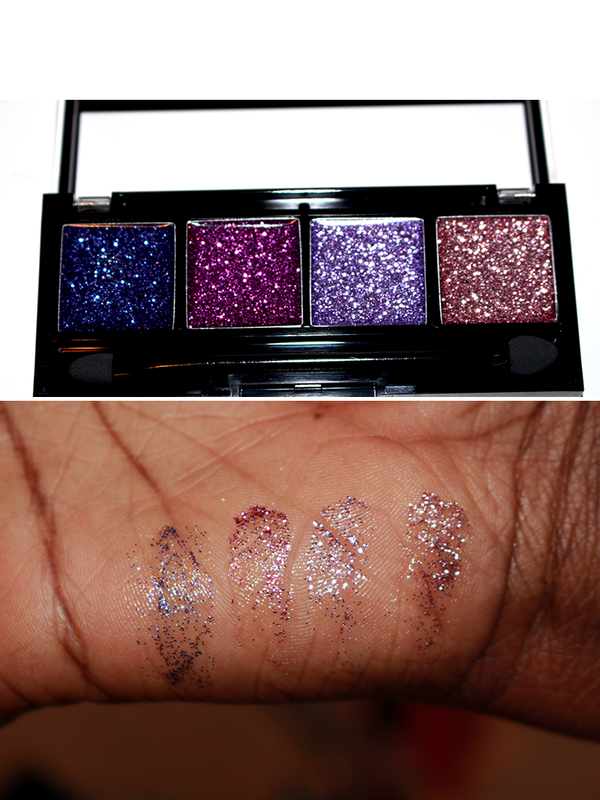 The pigmentation is rich and the staying power is pretty extreme to say the least. The swatch on my hand went away after four days – and that’s WITH showering twice a day. O_o The pen is pretty easy to use and I find it simple to switch between drawing thick and thin lines. Stubbornness aside, I would give it a smooth 7/10. It seems like the kind of “eyeshadow” that you would layer on top of the proper shadow to give eyes that iridescent effect. The longevity isn’t best, around 2 hours, but for the price I’m not complaining. It’s just a shame that the shadows are being marketed as a “luxe” brand, yet is overshadowed (pun not intented) by their basic range. A 4/10. Admittedly, I’ve never really gotten on with matte lipglosses so I guess I brought it on myself thinking that this would be different. My problem with matte gloss is that while the bottom lip normally looks flawless and gorgeous, the top lip tells a different story. Patchy, messy and generally streaky: Mostly from the fact that the gloss dries before I have time to even it out on my lips. Uber annoying. I love the packaging; they come presented in a frosted plastic tube with a black and gold lid. 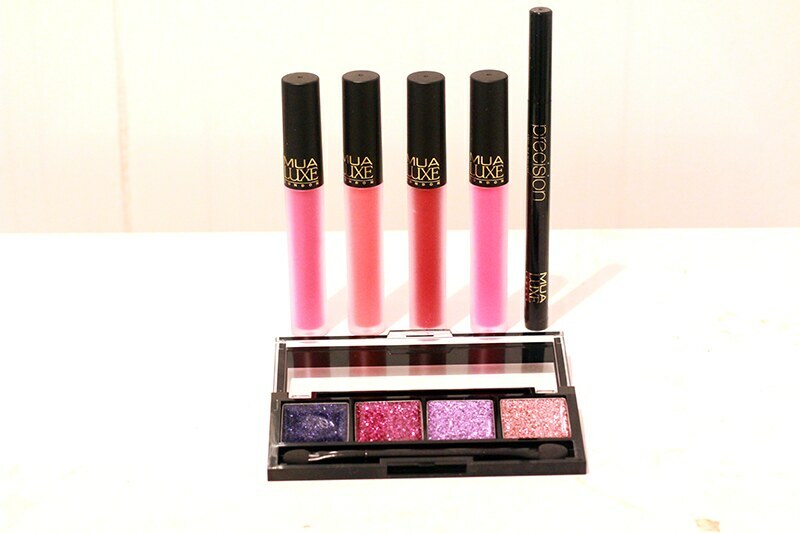 I will admit that the packaging is one of the main reasons why I bought the lipgloss. It just makes the product look so vibrant! The actual product itself is a tricky one. 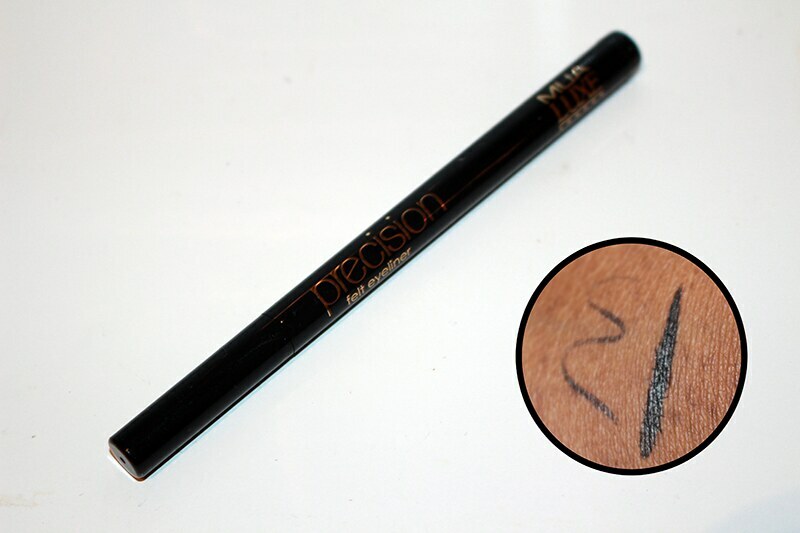 Pigmentation wise – it’s fine – if you’re quick enough to even out the colour before it dries matte. All the colours are extremely bright and have a drying time of about…15 seconds? Once those seconds are up and you haven’t been able to neaten up your lips, you’re dead as the formula will not budge unless an oil cleanser is applied. 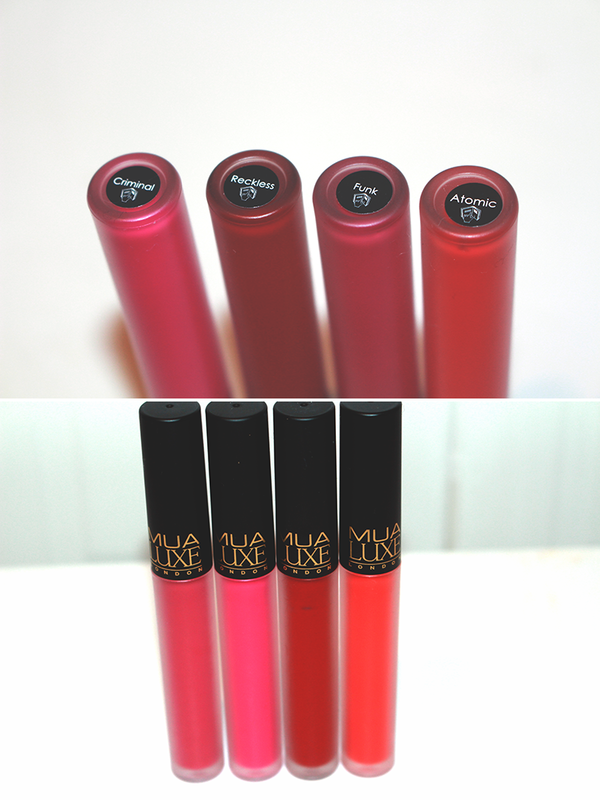 Once on the lips, they last for a good 7 hours which is pretty impressive; however the gloss lacquer starts to crumble around the hour mark which means you have to constantly reapply. Lip balm is definitely needed for these babies before application. In order from left to right: Atomic, Criminal, Funk, Reckless. Out of all the glosses, I could see myself wearing the bright, blue-based pink “Criminal” and the deep cherry “Reckless.” “Reckless” is absolutely GORGEOUS when applied and it just burns my soul that the application is so messy otherwise this would have been my new winter staple. Top left: Funk. Top Right: Criminal. Bottom Left: Atomic. Bottom Right: Reckless. On a whole, I would give the entire collection a 7/10. 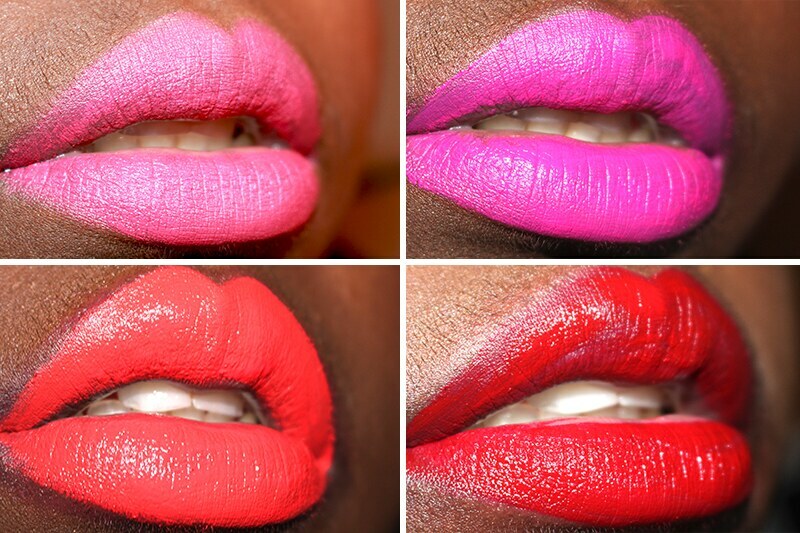 A 7, which could have easily been a 9 if the lip lacquers sorted their lives out. Maybe it’s just me and application skills but I would say if you normally wear matte glosses and can apply them properly, then definitely pick up a couple because the colours are flawless. If anyone has any tips on matte lipgloss application, please let me know in the comments below! Have you guys tried anything from the collection yet? 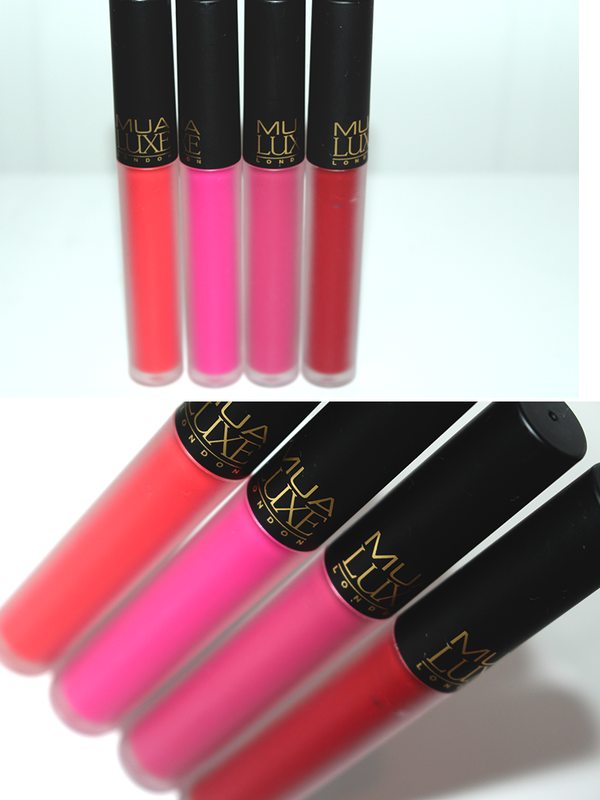 Also, matte lipglosses would you recommend for a novice?